There are many symptoms associated with cold sores. The most visual symptoms usually manifest in the form of small red spots around the lip area, accompanied by an itchy or tingly sensation. This is usually due to the virus attacking skin and other tissues surrounding the mouth. 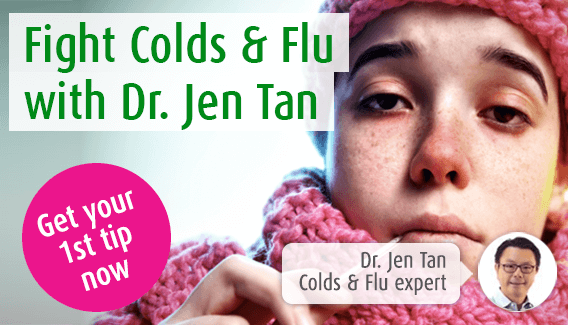 In this page, our immune system expert Dr. Jen Ten examines the symptoms of the cold sore virus and how the infection can be reactivated from its dormant phase. Cold sores give rise to a variety of symptoms – the first of which is usually a sensation of itching or tingling around the mouth. This contagious infection is caused by the herpes simplex virus 1 (HSV-1), also known simply as the cold sore virus. A person’s initial contact with the virus is often during childhood. This first or ‘primary infection’ gives rise to very few or no symptoms whatsoever. The symptoms that people recognise as signifying a cold sore are actually the re-activation of the first infection – this is known as the ‘secondary infection’. This page describes the symptoms you can expect if you suffer from these ‘secondary infections’ or recurrences of cold sores. Read more about HSV-1 and the trigger factors leading to colds sores. The first symptom experienced when a cold sore is reactivated is, for most, an itch or tingling sensation around the mouth. Sometimes, this is experienced as burning or numbness. This ‘warning signal’ appears before any other symptoms and may precede visible signs by a few hours or even a day or two. If you are using conventional anti-viral treatments for your cold sore, it is important to recognise symptoms at this stage and start treatment immediately as these medicines do not work when the cold sore becomes visible (see next section below titled 'Other cold sore symptoms'). A number of trigger factors can cause the reactivation of the cold sore virus. These are described in our page on cold sore causes and include emotional stress, overwork, menstruation or exposure to sunlight or UV lamps. Following reactivation, the cold sore virus multiplies and as it does so, small red spots appear on the lips. As a cold sore develops, symptoms of itching or tingling are replaced by pain and irritation, and the appearance of painful blisters. Blisters fill with fluid containing millions of virus particles. Stretching or irritation of the blister (when eating, drinking or talking) can give rise to pain and as the skin dries, it has a tendency to open up, exposing the viruses to others around. This is known to be the most contagious stage of a cold sore. After a few days, the blisters dry up, a scab forms and symptoms become less prominent. Cold sore blisters usually take between 7 and 10 days to heal. The time from first symptoms (tingle stage) to final healing of the cold sore can be up to 21 days. After the cold sore has cleared and symptoms have resolved, the virus becomes inactive, lying dormant in the nerve until the next time it is re-activated by a trigger. As healing is complete, cold sore symptoms resolve. The virus becomes dormant, but lies in and around the nerve cells ready to cause further cold sores in the future in response to being activated by trigger factors. Any weakening of the body’s immune system defences (or defence mechanism) can bring about a reactivation of the virus, leading to symptoms of itching or tingling, and the start of another cold sore. Read more about the 5 main stages of a cold sore here.